Released 28 years ago today, simply one of the best albums of all times... 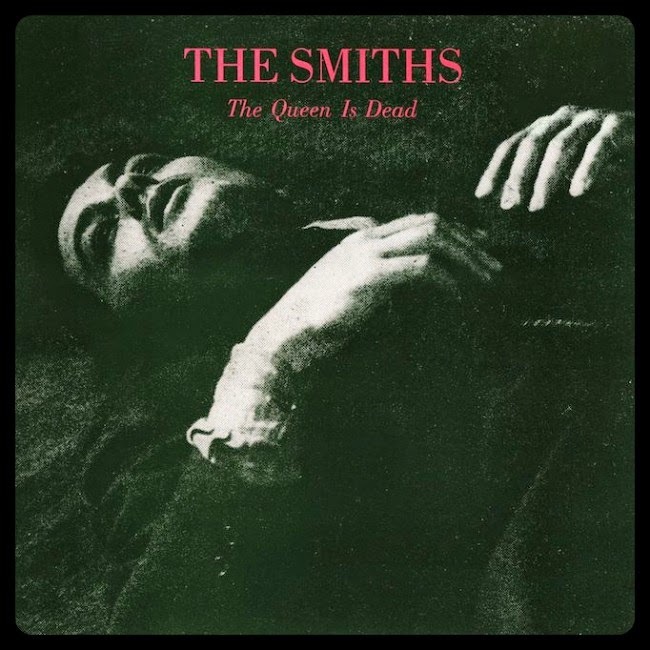 The Queen Is Dead. With two of my all time favourite Smiths tracks, 'I Know It's Over' and 'Never Had No One Ever' it's as relevant today as it was back in 1986 and it remains on regular iPod play for me. 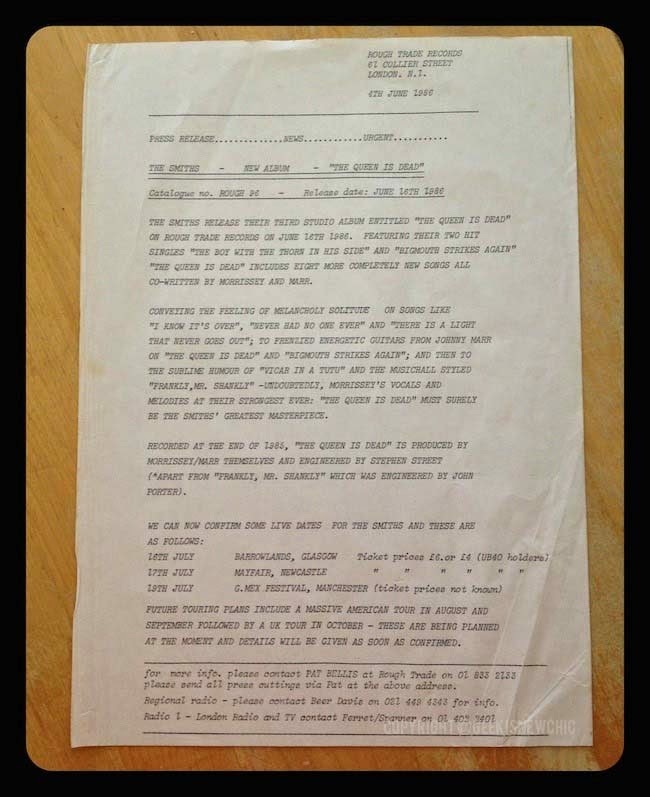 I bought this original hand typed The Queen Is Dead press release about 15 years ago but it's the first time I've shared it online. It's pretty awesome, one of the prized pieces in my Smiths collection. Don't have The Queen Is Dead? Get out from under that rock and listen to it on Spotify.